This Russ Berrie Iris Bunny is a retired and rare plush rabbit that measures approximately 9 inches. 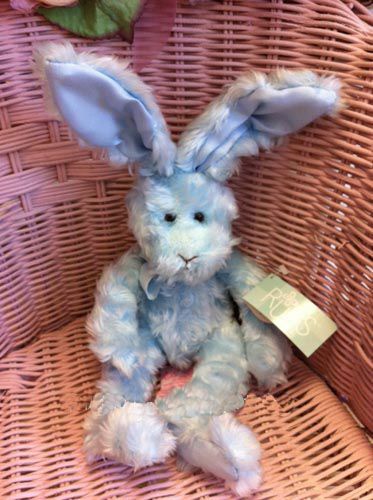 This plush buny has beautiful pastel blue swirly fabric. It has all tags (both hang tag and tush tag).